Gee-Gees head coach Dave DeAveiro headed to Mcgill? It looks like an official announcement is ready to be made in the upcoming days. Rumor has it, that U of Ottawa Men’s Basketball Head Coach Dave DeAveiro is closing in on a deal with McGill athletic director Dave Love to fill a current vacancy which opened up when Craig Norman was released of his duties earlier this year. This would be a good move for Dave DeAveiro and a smart hire for the Mcgill Redmen. Coach DeAveiro has a wealth of connections which will lead to a lot of activity on the recruiting front. Is this a good hire for the Redmen? 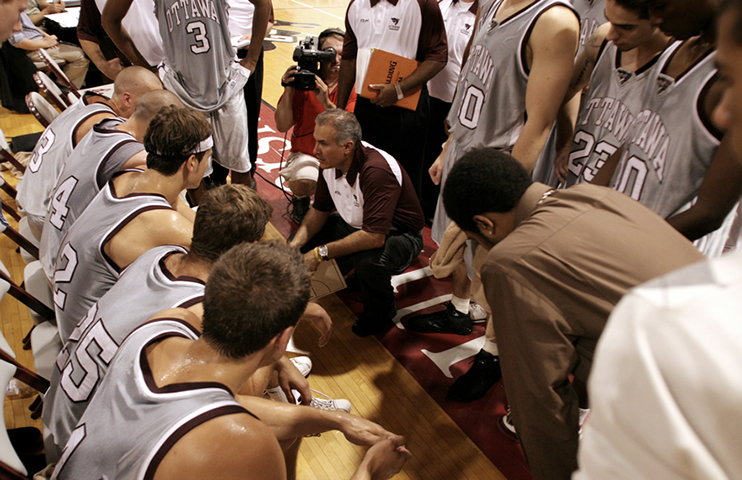 What about the Gee-Gees, who will be their next coach? Must Read: 2011 CIS Final 8: Carleton Ravens fight off stingy Stingers. Rematch with Saskatchewan Huskies on deck.